Do you know who this man is? 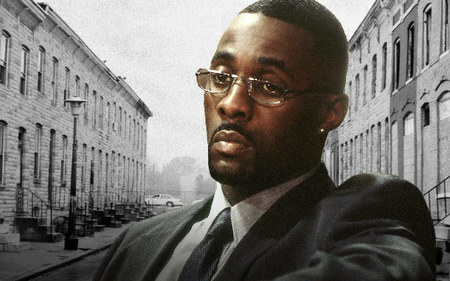 If not, you are in for a treat… This is Stringer Bell, one of the many brilliant characters from a fantastic TV show called The Wire. It is to cop shows what Charles Dickens is to books about orphans. Smart, brutal, compelling and just true, true in that way only fiction can be. You absolutely have to see it. And now you can, because The Guardian is going to be streaming episode 1 of the first series for free from tomorrow, at http://www.guardian.co.uk/thewire. At first I just popped this into my delicious stream, but now that I think about it, there’s something quite interesting here. After all, why is the Guardian doing this? Why not Channel 4, or even HBO, the program’s producers? For starters, the Guardian is going great guns for the web, with lots of blogging and video and audio. Secondly, perhaps it’s a sign they are embracing their role as a filter. In the past, newspapers and other forms of mainstream media effectively created the news and the news agenda; with the proliferation of information on the web, the most successful sites are filters such as blogs and digg, places that have a certain outlook and area of interest, and that then flag up interesting, relevant items. Promoting the Wire perhaps shows the Guardian embracing its power as a filter as much as an originator of news. It is also, of course, a way of ‘hosting the conversation’ – because while it’s great to read positive reviews of TV shows (and music and movies etc), it’s better to then be able to connect directly to that media. Regardless of the reason behind it, it’s a good move. The Wire richly deserves a wider audience. Oh, and if you want to see what the post title refers to, here is Stringer in action – it’s from series 3, but doesn’t give away any pieces of the plot in series 1. Plenty of swearing, though, so be warned. This entry was posted in TV and Film. Bookmark the permalink.